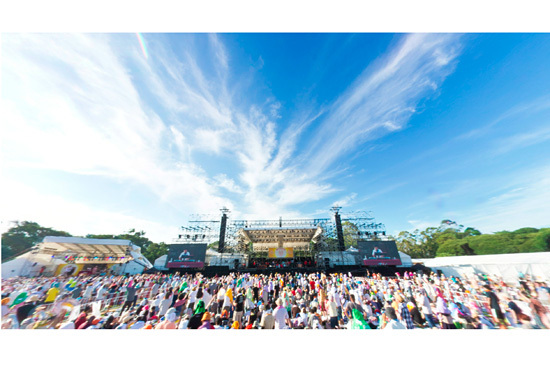 Hikashu at World Happiness 2013, Yumenoshima Park, Tokyo on August 11, 2013. It's official. 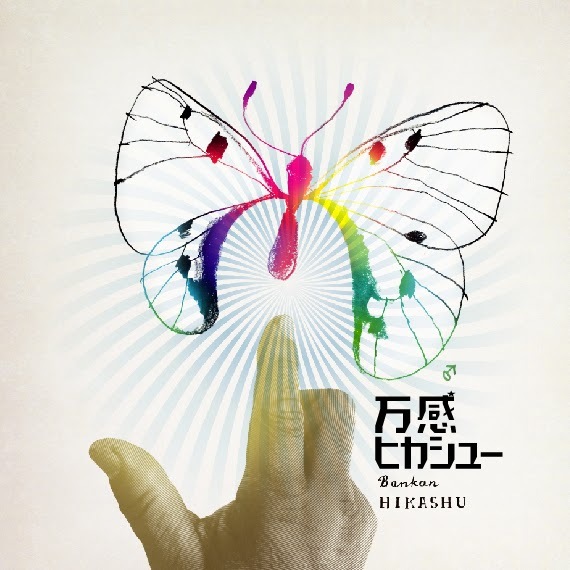 Hikashu's new album, entitled "Bankan," will be released on December 12, 2013. It looks like the editing has been completed. And the album is now in process of mixing, which is handled by Marc Urselli at his main workplace, Eastside Sound of New York City. 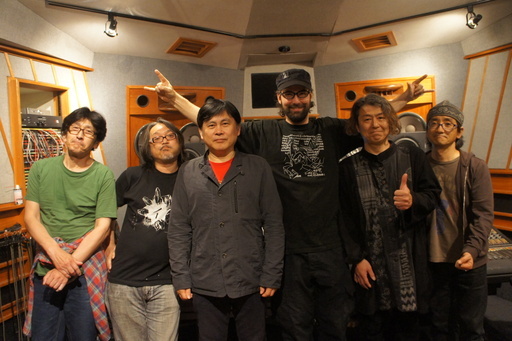 Mr. Urselli also engineered the recording session of the album, as well as the band's last effort, Uragoe. Several numbers from the album have been premiered at recent gigs. All those were quite impressive, and having listened to those tunes, the album seems to be very eclectic, and still Hikashu-esque. They are beyond category, indeed. 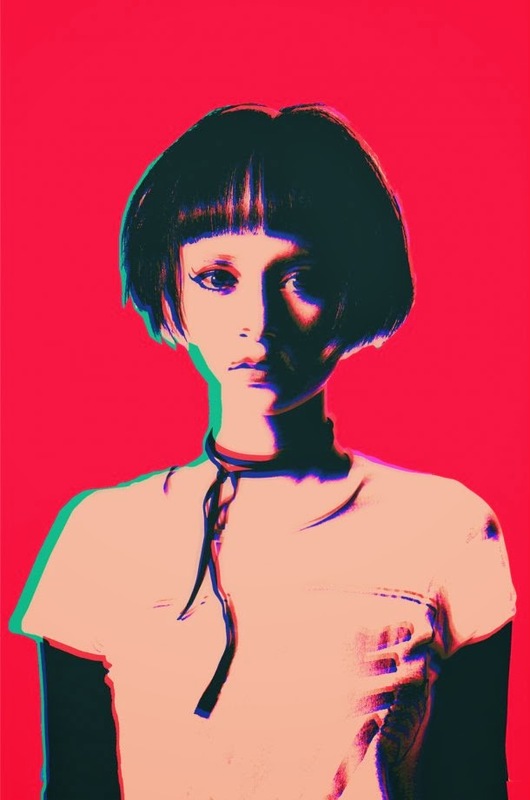 As the band's other works, the album is very likely to be available worldwide via HMV Japan. 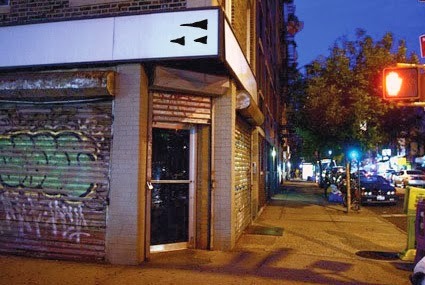 At this time, the record store has still not had a dedicating webpage about it, but we will let you know the information as soon as possible when available, so stay tuned. 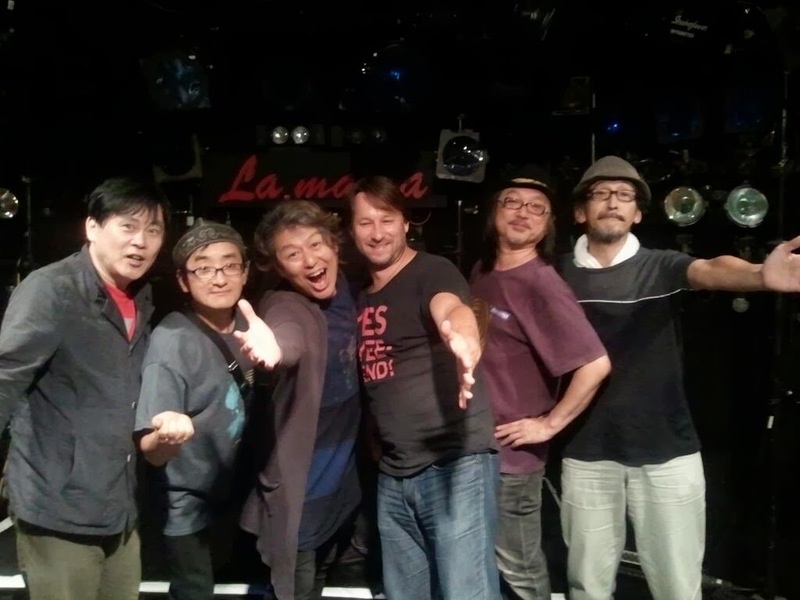 Hikashu and Alexei Aigui, after the gig at La Mama of Shibuya, Tokyo on October 13, 2013. 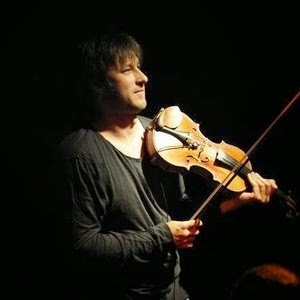 This month, Alexei Aigui, a prominent violinist and composer from Moscow, has spent a few weeks in Japan. And he has proved himself again being an energetic improviser. 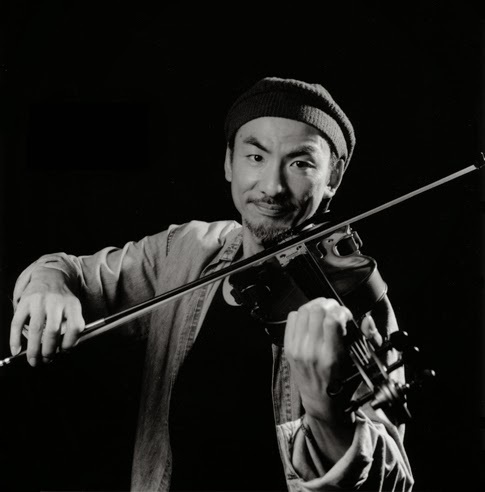 Most of the dates he played with a fellow violinist Ohta Keisuke, but only one day, he sat in the two separate gigs of Hikashu which took place in Yokohama and Tokyo. 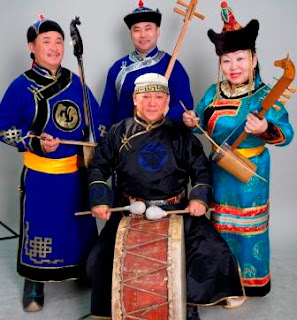 Actually, they have played together before -- in 2011 and 2012 -- so this is the third time for them, and the first time ever in Japan (the former two occasions were held at the prestigious DOM Cultural Center of Moscow). Needless to say, his playing was a full of energy, and well-blended with the band's sound overall. 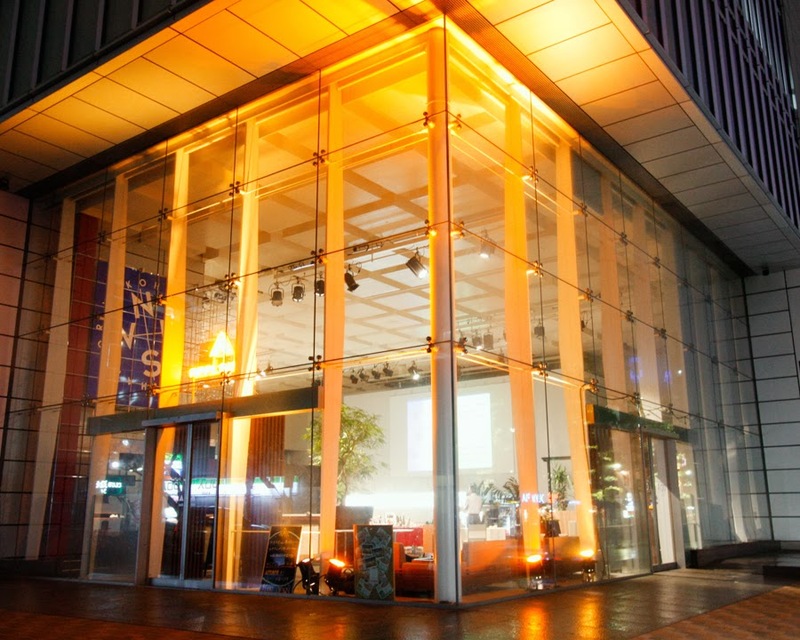 The afternoon show was held at a place called Yokohama News Harbor. Being contrary to its name, it's not a harbor - even not being seaside. The place is located a business district of Yokohama, the city with long history and has been known as "the Birthplace of Jazz in Japan." (there's no evidence, of course). Anyway, it is a neat, high-ceiling, 200-seat hall, occupied the entire ground floor of an office building, which is actually the property of a local TV station. Their show was started at 16:00, and the place was packed. 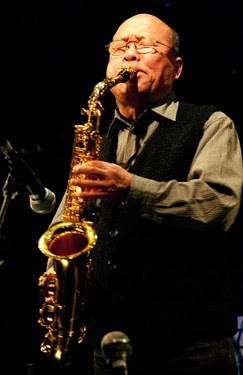 The show was organized as a part of the event called Yokohama Jazz Promenade, which could be described as "a just another conservative jazz festival" in general. So Hikashu was quite an anomaly. The people gathered expecting some fine, smooth music, and what the band including Mr. Aigui started to supply was, as usual, collective improvisation. In fact, their performance alienated many of the audience, and some of them actually fled soon. What a pity. May those poor souls retrieve their precious inner-peace. Anyway, the highlight of the set was a short but impressive duo performance of Aigui and the pianist Shimizu Kazuto. Shimizu took a bit different approach: He started with a bouncy, highly rhythmical phrases, like boogie-woogie, and Aigui immediately followed. Soon the things were getting abstact - They went out to do some verse exchanges. Shimizu trot out a succession of short fragments in different tempi, and Aigui responded beautifully. It was quite splendid - so many colors and textures of sounds, like a kaleidoscope. After the set, soon they departed Yokohama, heading for Shibuya, which is one of the busiest districts in Tokyo. It takes an hour by train, although they moved by road. It was a middle of consecutive holidays so roads tend to be crowded. Fortunately, they didn't late. 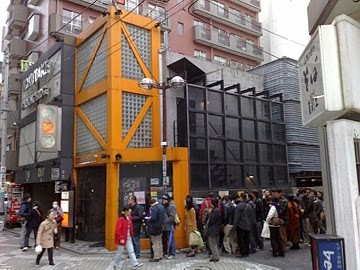 The late show was held at La Mama, a small but established venue located in Shibuya. 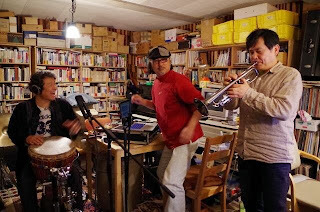 The gig was started with a duo of Mr. Aigui and the drummer Sato Masaharu. During a lengthy dialogue via instruments, other members went on bandstand one by one, each started to play, then things were getting bigger and bigger. Finally reaching a high point, and everybody swiftly moved into the opening number, Wave the Brush, Mr. Beyond. Throughout this set, Mr. Aigui was appointed as a featured soloist. He took his duty and acted accordingly. Actually, his play was quite accomplished, indeed. They were really together, and clearly demonstrated that there's no barrier in music if things are appropriate. Overall, it was a memorable experience, two wonderful sets in a row. Fortunately, Mr. Aigui plans to visit Japan again, possibly next spring. So it's highly likely that the reunion of him and the band will take place again pretty soon, and we all surely look forward to the day. 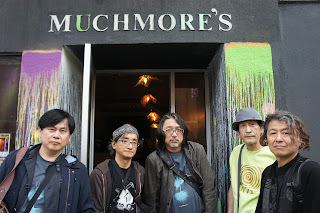 Ohta Keisuke, Alexei Aigui, Makigami Koichi at Genron Cafe, Tokyo. 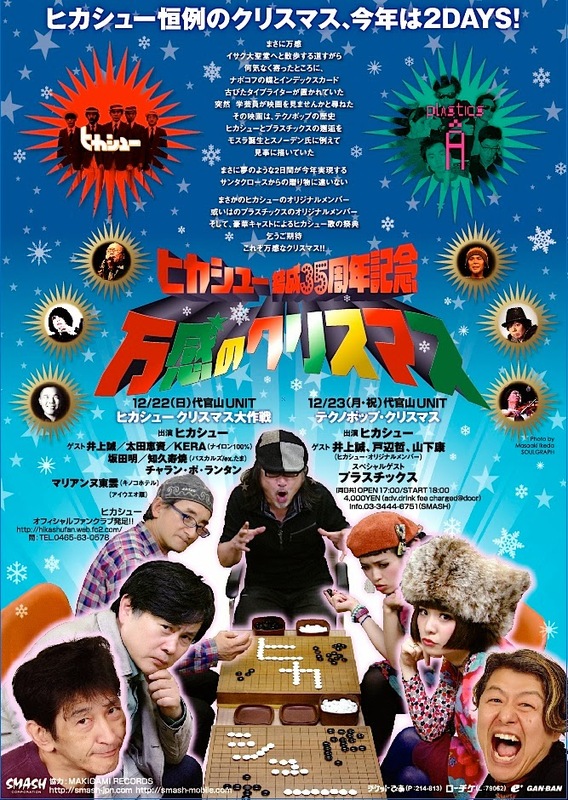 Hikashu has been holding a special concert in every December since 2008. And this year, the things really get bigger - two days (22 and 23 of December), with lots of guest artists, including the Plastics, with the original line-up. The first date has lots of guests, and its roster is quite impressive. 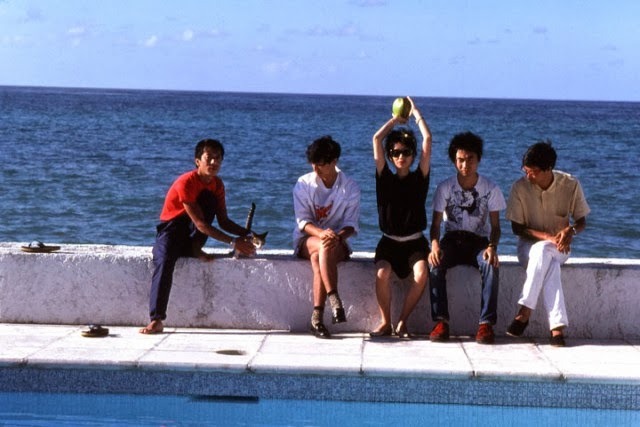 Charan Po Rantan, Marianne Shinonome (from Kinoco Hotel), veretan avant-garde reedman Sakata Akira, Kera (from a renowned new-wave band, Uchoten), the Godzilla Legend founder Inoue Makoto (who is also the original member of Hikashu), violinist Ohta Keisuke (who has just released a duo album with Alexei Aigui), and others. And the second date, billed as "Techno Pop Christmas," features the original line-ups of the two bands - Hikashu , and the Plastics. 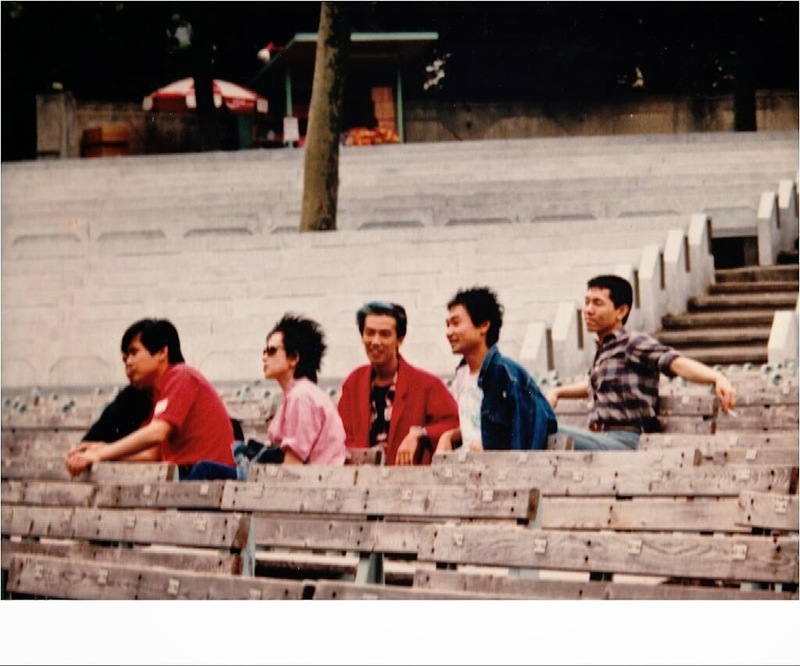 The original Hikashu (with Inoue Makoto and Yamashita Yasushi, both on synthesizers, and Tobe Satoshi on alto saxophone) is going to play a short set as an opening act, sans drummer, using rhythm machine instead, like old days. And the Plastics. 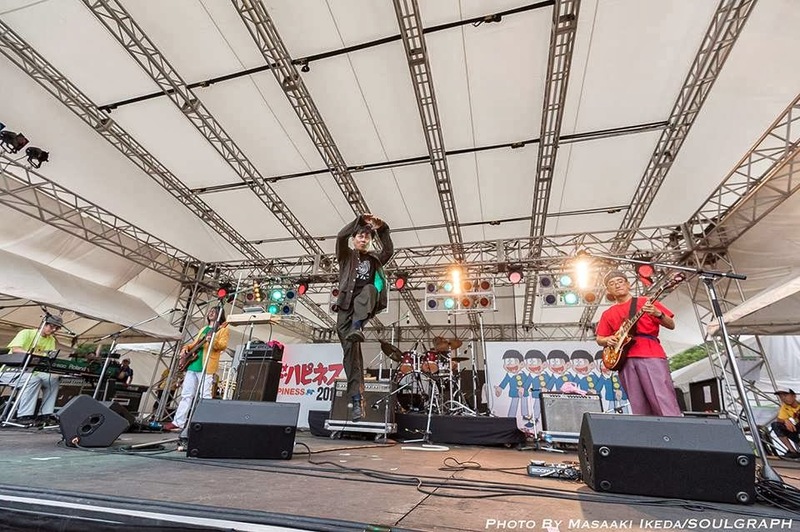 They have reunioned several times in the past, but the reunion of the original line-up, including Chika on vocals and Shima Takemi on rhythm box, have never happened before, and this is for the first time. So now you know these evenings are going to be monumental, so do not miss it. Apparently people in Denmark favors Makigami Koichi so much, because they have invited him to their beautiful country three times in this year. 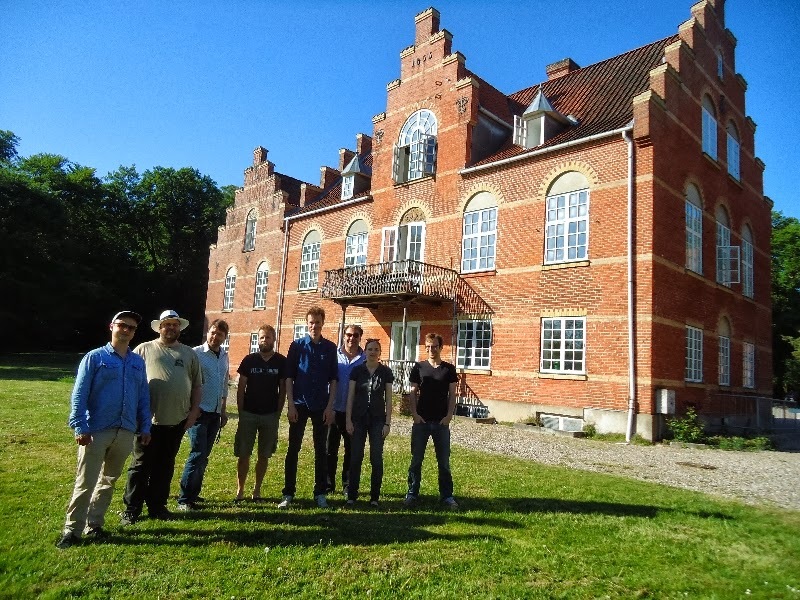 Makigami Koichi will appear at the event called ACCORDEON TRÆF (Accordeon hit) which will be held in Jyderup, Denmark late this month. It's still unknown to us what it is all about exactly because its official site is written in Danish (of course), but it looks like a weeklong series of lecture or workshop about art, held at Jyderup University. The line-up of the lecturer is quite impressive - Wadada Leo Smith, Joel Futterman, Kidd Jordan, Mat Maneri, Randy Peterson, and others. And Makigami is one of them as well. The event begins on October 28 and closes on November 2. We don't know if they still accept applications, so if you are interested, try to contact them via website. 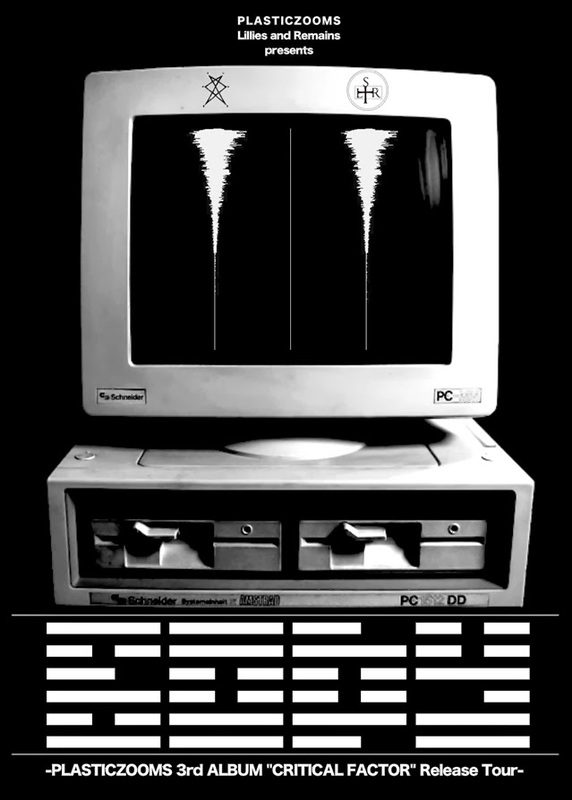 November 15 - Christian Fennesz had to cancel the tour due to injury. See here for details. 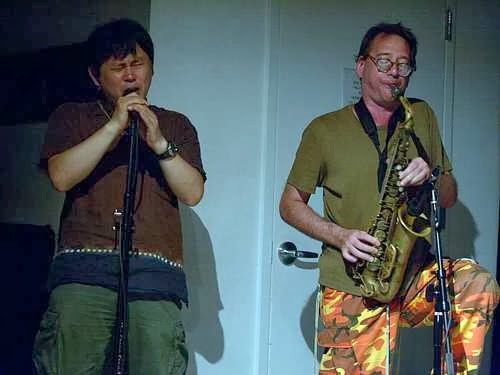 Makigami Koichi organized a Japan tour of Food, the unit of improvised music which is consisted of Iain Ballamy on saxophone and Thomas Strønen on percussion, in November. 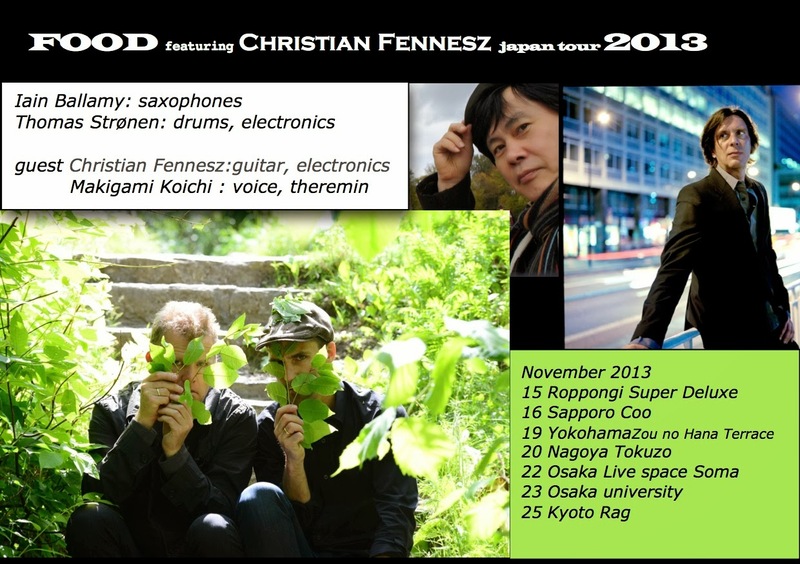 The guest for the tour is Chrstian Fennesz, the guitarist who is also known as a collaborator of Sakamoto Ryuichi. 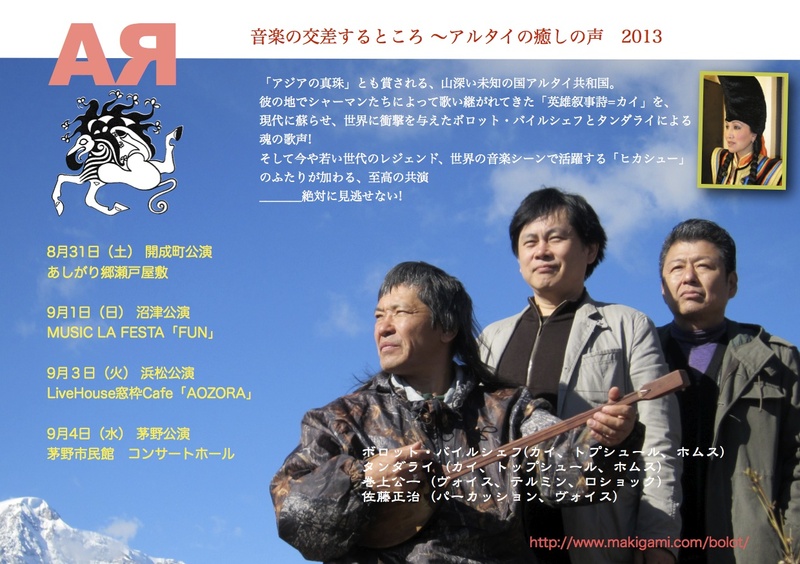 Makigami himself will join the performance for some dates. This is the second time for them to tour Japan. Last tour, which was held in autumn 2011, their distinctive sound was quite appreciated by even keen audiences for electric jazz. The participation of a noted guitarist Christian Fennesz is interesting as well. Food's newest release is an album called "Mercurial Balm" on German ECM label. 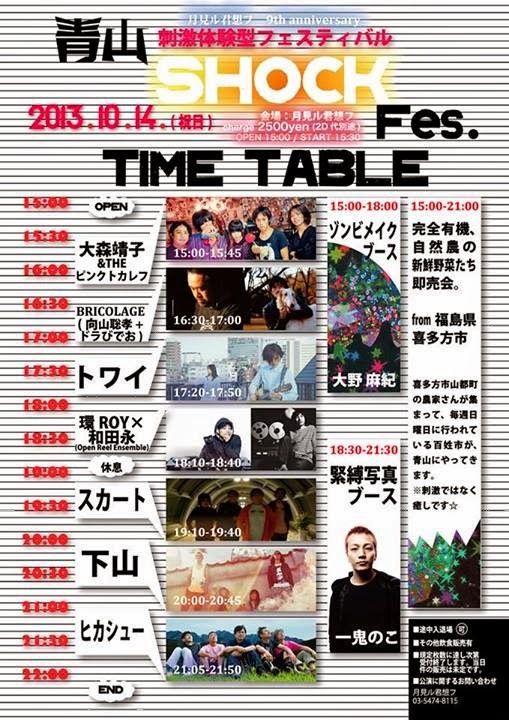 Next day after the Yokohama-Shibuya gigs, Hikashu will perform at a festival called Aoyama Shock Fes. It's held at a club called Moonromantic of Aoyama, Tokyo, and their appearance will be last, starts at 21:05. The fes is showcase event organized by the venue, and the line-up is surely interesting. Curiously, there is no so-called "veteran act" except Hikashu. Anyway, it's a nice opportunity to experience for yourself the great diversity of music scene in Tokyo at very afforable price so should not be missed. 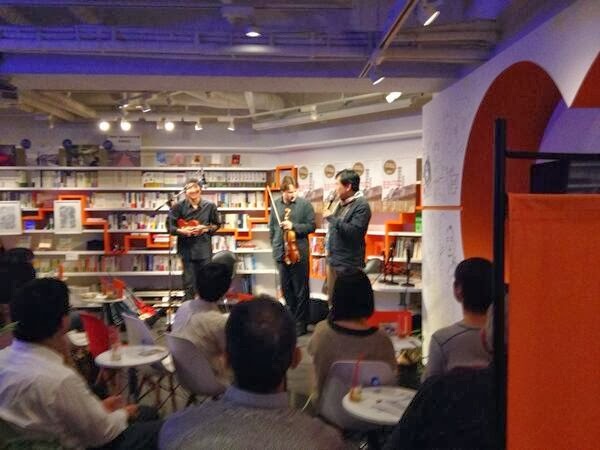 Alexei Aigui, a violinist and composer who has been active in Moscow and Paris, will come to Japan this month, and play two gigs with Hikashu on October 13, which will be held in Yokohama and Tokyo on the same day. 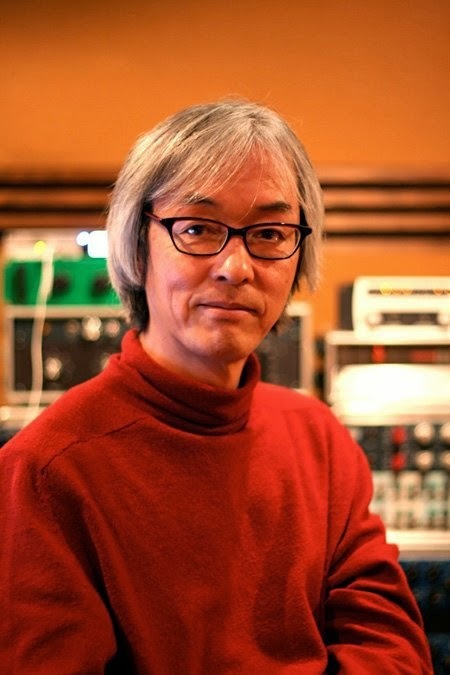 Mainly he will tour with a colleague, violinist Ohta Keisuke (who has played with Hikashu, by the way), and additionally, plan to do two gigs with the band as well. This is the first time for them playing together in Japan, although they actually have done it before, even twice. The precedent two gigs were held at the prestigious DOM cultural center, which has been the central place for advanced music in Moscow, in 2011 and 2012 respectively. Both times it turned out utterly fruitful, so it's highly likely that the collaboration this time will be quite interesting as well. 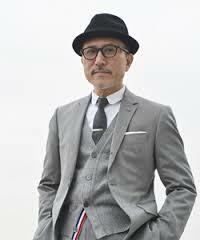 The first, afternoon gig will be held a venue called Yokohama News Harbor as a part of the musical event called Yokohama Jazz Promenade. This annual festival has been known for its conservative policy, but Hikashu have been booked for last 6 years successively. And you need not to worry. Hikashu play what they would like to, no matter what the policy is. 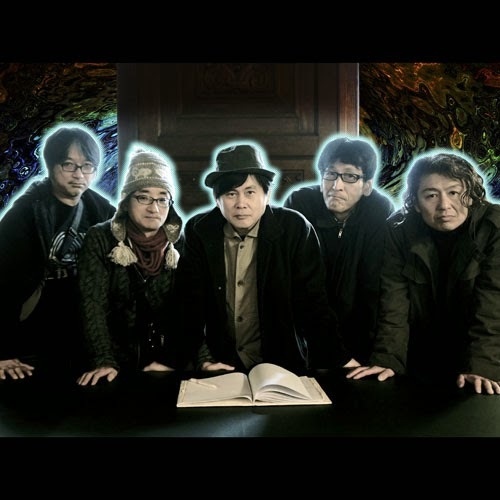 After the Yokohama gig, the band (with Mr. Aigui) will swiftly move to Shibuya, Tokyo. 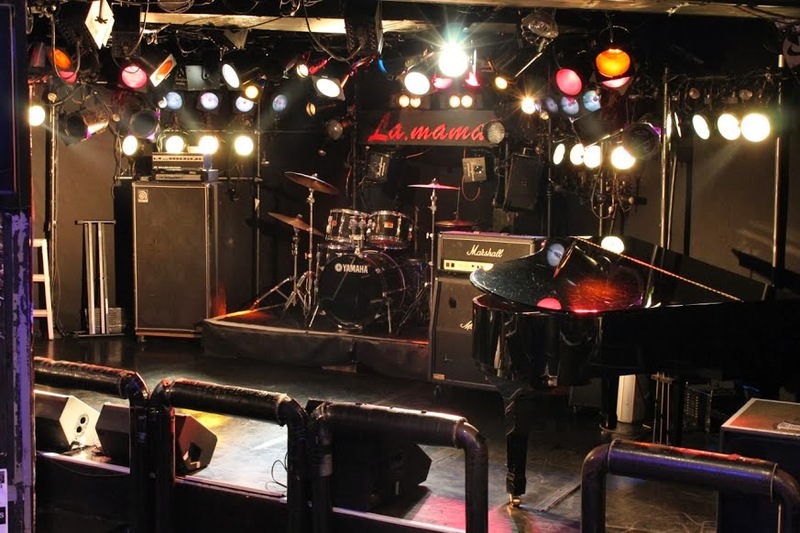 The venue of the second gig is La Mama of Shibuya, Tokyo. The opening act is Inukami Circus Dan, which is also an interesing band under the influence of Gothic culture, with Japanese twist. For your information, it takes an hour between Yokohama and Shibuya by train. Therefore, it's not difficult to witness both shows, which is ardent fans already plan to do. So let's ride a wonderful trip with the band and a nice guest from Russia. 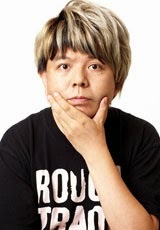 Having completed a 3 City tour in September, Hikashu will be back to perform in Tokyo. On October 2, they will perform at Star Pine's Cafe in Kichijoji, Tokyo. Although pianist Shimizu Kazuto had to skip the first two gigs due to some injuries on his leg, the tour turned out great, as always. At the last show in Nagoya, with full line-up, they played two selections from their upcoming album, tentatively called "Bankan." It's the first time for public. 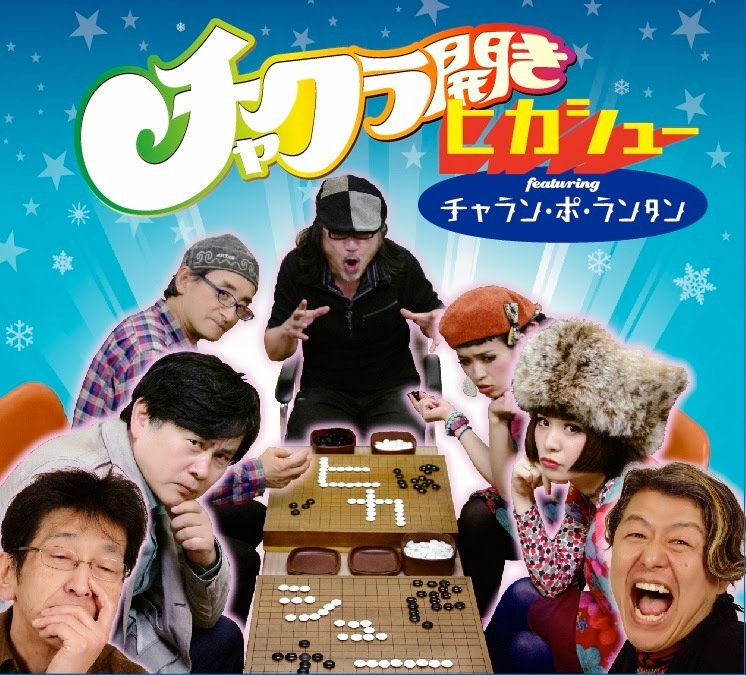 Regarding Star Pine's Cafe in Kichijoji, Hikashu has been playing regularly there since the club's inception (it's 2000), and calling the place for their home. But these days the band seems to be shifted their home at LaMama of Shibuya instead. Indeed, their last gig at SPC was April this year with Umezu Kazutoki and Samm Bennett, and this half-a-year absence is unusual since they usually appear there a time a few months. 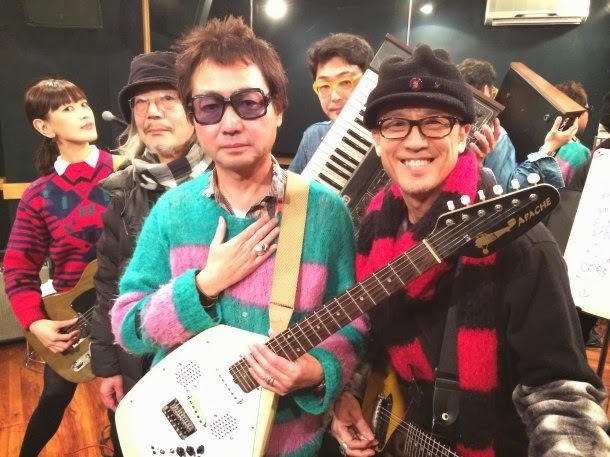 LaMama is a nice place and has its merits, but SPC is special because of its cozy atmosphere, and first and foremost, Kichijoji is the town Hikashu performed for the first time, back in 1978. 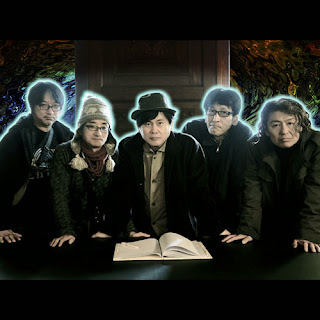 Anyway, the next Hikashu gig at Star Pine's Cafe will surely be nice and interesting, because they'll expectedly play the selections from the new album again, and you can see their new direction on person.